The O’Gorman family have farmed in Ballybawn for over 250 years. 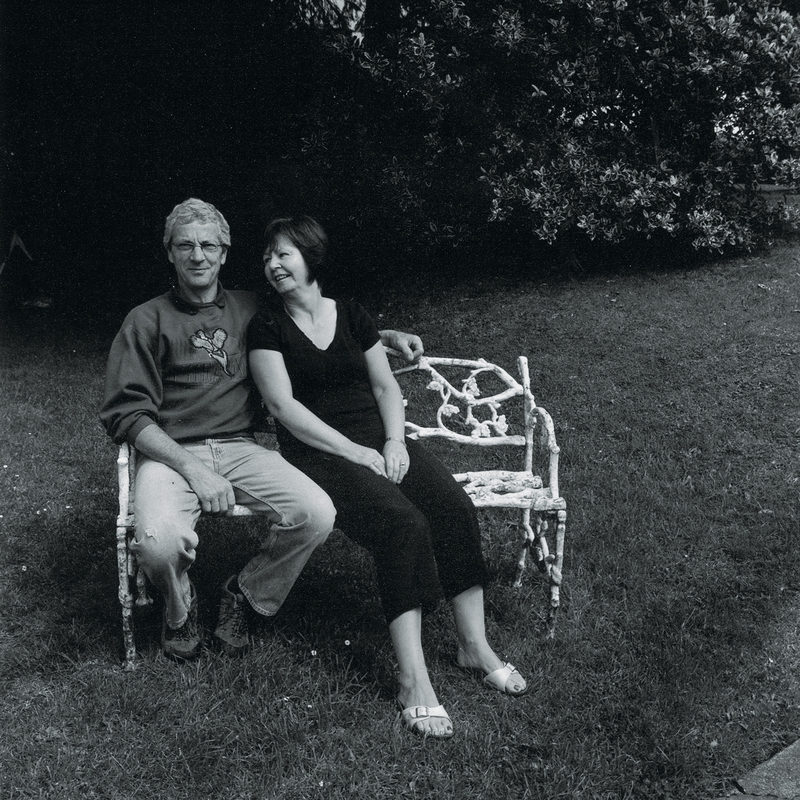 Rosie’s parents have a major presence at Cow House Studios; their continued support is intrinsic to it’s success. Michael took over the farm as a teenager and has now been farming for over 40 years. Over that time he has grown sugar beat, barley and wheat, reared pigs, cows, sheep and hens. Today he raises beef cattle. Apart from his farming talents, Michael is also extremely creative, with a sharp aesthetic eye he likes to create things by hand. He has created many things for his four daughters over the years including swing sets, see-saws and dolls houses. His love of stone is evidenced by the many stone walls he has built, as well as his collection of large standing stones around the garden. Most recently he has taken up wood turning creating individual functional piece from locally felled trees.His chair hanging from a tree by the pond is made from part of an old hay-baler. It provides a beautiful spot to relax and like many of his creations proves that his years of hoarding is useful. Michael first converted part of the buildings which now house the accommodations in 2000 as a studio for Rosie; laying the seeds for the future developments. His help in renovating the Cow House was integral to its success. He is often seen popping his head into the studio to see the new work being created. Originally from Dublin, Mary moved to Ballybawn when she married Michael. Also extremely creative, Mary is a beautiful drafts person; her school portfolio (which included many drawings of the Beatles and hippies) was a big inspiration for her daughters to peruse art. Mary and Edel are the resident bakers at the Cow House; their deserts and breads have become famous. Usually it only takes a few days for our students to realise who they need to gain favour with in order to enjoy a wide array of delicious deserts. Mary also tends to the garden with Michael and has been a big help in teaching Frank how to develop his vegetable patch.